Most not-for-profit organizations rely on volunteer work to maintain parts of their operations. Volunteer management software helps nonprofits find and retain volunteers. Taking into account that volunteers do not have a contractual commitment with the organizations, nonprofits need to make sure that they have a large enough pool of volunteers who are motivated to support them. Each department of a nonprofit organization can use volunteers, and therefore it is critical to source the right person for the right activity. Volunteer Management reviews by real, verified users. Find unbiased ratings on user satisfaction, features, and price based on the most reviews available anywhere. SignUpGenius simplifies the process of coordinating events and people by providing online sign ups for nonprofits, schools, sports, churches, families, colleges, businesses and organizations. 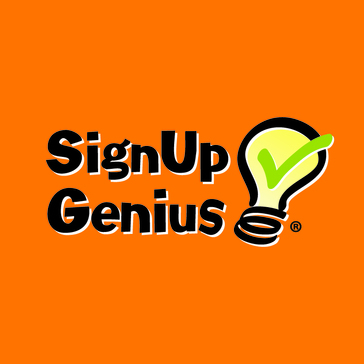 By enabling up to 12 million unique visitors per month to sign up for tasks online, SignUpGenius has done away with the need for paper sign ups, "reply-all" emails and phone trees. Volunteer Impact is a comprehensive suite of volunteer management tools that includes online applications, on-boarding and training tracking, scheduling, reporting, communications and a volunteer portal. Church Community Builder, all-in-one web-based church management software and coaching solutions for church community engagement, assimilation, and retention. Move from just managing people, to knowing them, growing them, and keeping them in your church community. Timecounts is a volunteer management solution for the modern organizer. Everything you need to recruit, schedule and mobilize your volunteers. SignUp.com is the easiest way to organize your group. Save time and boost participation in coordinating the people and things that help you make a difference in your communities and schools with user-friendly scheduling, signups and more. NetSuite offers powerful cloud-based solutions for running all aspects of your nonprofit or social enterprise -- all within a single system. NetSuite's modern business platform combines powerful financial management capabilities purpose built to meet the unique needs of nonprofits--such as fund and grant accounting, with core business management solutions—CRM, inventory management, eCommerce and more. Our solutions help organizations of all sizes and types reduce costs, improve performance and achieve operational excellence by removing boundaries so they can focus on their missions, not on managing IT complexity. With NetSuite, nonprofit organizations gain capabilities that enable them to budget to the true cost of mission delivery, ensure accurate financials and stewardship /accountability, gain a holistic and comprehensive view of financial operations and proactively monitor performance to expand impact. Oracle NetSuite Social Impact, our corporate citizenship arm, leverages the company's assets—our people and our products—to amplify the social impact of nonprofits and social enterprises around the world. Through our unique initiatives, including software donations, pro bono volunteer projects and social solutions, we are supporting organizations worldwide to better achieve their missions. InitLive is designed for events, bringing staff/volunteer sign-up & scheduling, real-time communications, on-site functionality & data tracking together into one powerful tool. Ideal for event organizers managing 300-2000+ staff/volunteers. InitLive is the best enterprise solution for event producers & event production companies managing a large database of staff across multiple events. Customize scheduling, recruitment, shift assignments, email/SMS text communication and more based on your unique needs. Using InitLive to automate and improve operations, our customers can scale their business, produce more high-quality events, expand capabilities while lowering labor costs, and rely on advanced data security. Higher Logic is your organization's secure, private community platform that empowers members, customers, support and product teams and administrators to create and manage meaningful, engaging online communities. It is the industry's premiere community solution, created specifically with the unique goals and needs of member and customer interactions in mind. Raise more, save precious staff time, and focus on your mission's impact. We'll do the rest. NeonCRM is the most robust cloud-based CRM database built specifically for nonprofit organizations. At the core, NeonCRM is a relationship-focused fundraising and membership system. Additionally, NeonCRM empowers nonprofit organizations to raise more revenue through automation, while helping staff streamline day-to-day processes within one truly connected platform. This enables organizations to have their most important information in one dedicated system, accessible from any internet connection. Plus, Neon's online forms integrate easily with any website, auto feed information directly to NeonCRM, and allow for real-time credit card processing and recurring payments with unbeatable rates. Offline fundraising options are not sacrificed with powerful mailing list queries, mail merge tools, and easy to use batch donation entry features -- all included at no additional cost. NeonCRM is an industry leading, scalable platform for nonprofit organizations of all sizes. NeonCRM was built specifically for nonprofits in need of strong relationship management to facilitate increased personal engagement via a truly connected CRM. Neon also offers an in-house Web Studio that builds custom or out-of-the-box websites with nonprofit best practices in mind. Our Studio builds all websites using the #1 website platform in the world, Wordpress. Plus, we have developed the deepest integration between Wordpress and a CRM in the nonprofit sector, ensuring your website and your data are fully synchronized at all times. Smart, scalable, and predictive, Raiser’s Edge NXT is ready to help you grow your constituent base and expand your revenue streams, so you can increase your impact like never before. VolunteerHub helps nonprofits manage volunteers by streamlining volunteer management and engagement. Manage your volunteer database from any computer; in the office, at home or on the road. Allow volunteers to fill out applications, submit their schedule preferences and even self schedule, all from the comfort of home. No start-up costs, licensing, or additional fees for support or upgrades. Simply pay a low monthly fee with no long term contract. Volgistics is the industry leader in online volunteer software. Take a video tour and sign up for a free trial account to find out why! CERVIS is a customizable web based donor CRM software that helps recruit volunteers online, coordinate and manage volunteer opportunities, and communication effectively with volunteers. Everything you want in a cloud ChMS: membership, groups, assimilation, scheduling, registration, check-in, contributions, online giving, text giving, email marketing, texting, robust reporting and more. Completely optimized for use on any device. We became the leader in group software by taking the best practices of ministry and blending them with the best of software architecture. We do the same for the rest of your church needs at a price you can afford and service you'll love. If you haven't heard about it, learn about Text-to-Church. It's a text driven user interface that works seamlessly with a workflow you customize. Elvanto is an all inclusive, 100% cloud-based church management system. Our goal is to provide a program that’s really user-friendly and intuitive, as well as being jam packed with powerful features. All accounts are securely hosted on servers across Australia, Europe and USA to comply with local security and privacy laws, and can be accessed from virtually anywhere. More information can be found at www.elvanto.com. VolunteerMark is an end-to-end solution for volunteer management which streamlines your scheduling process, communicate with specific volunteers and track the hours. HandsOn Connect is a donor CRM and volunteer management solution that expands an organization's capability to manage, track and report on people, programs and projects in real time. Ivolunteer.com provides a way to sign up volunteers for events, and to manage volunteer scheduling. Sumac is powerful software designed specifically for nonprofits. It offers a complete solution for: * Donor Management & Fundraising * Case Management * Membership Management Alternatively, you can choose the Add-ons you need to create a solution tailored for your needs, including a Custom Add-on which we will build to track data unique to your organization. Brilliant Directories is online directory software for any industry. Digital Cheetah provides mobile and web software to help volunteer, member and education organizations change the world. Allegiance is a software tool designed to as a solution for fundraising, volunteer management, and auction management. @EASE is a nonprofit CRM database with functionality that allows you to run reports, conducting moves management while integrating with your Outlook calendar, tracking campaigns, and segmenting you donor base. Fundraising, Volunteer and Donor Management solutions for your Nonprofit. Volgistics Volunteer Management is a volunteer management software that allows volunteers to fill out applications, submit their schedule preferences and even self schedule, all from the comfort of home. VolunteerBase brings a world of opportunities to those who want to contribute towards making this a better world. Track it Forward is a volunteer time tracking website fit for small and large non-profits, schools, universities and many other types of organizations. Volunteers can log hours through a kiosk, as well as our free mobile app or website. They also have access to their own dashboard to view and export their current submissions, how much of their goal they’ve achieved, sign up for events, and even see rankings on the leaderboard. This takes a lot of work away from the organizer, where you can now focus on rewarding those who’ve hit their requirements, create and invite others to events, run reports, and verify & approve hours submitted. AidSpace is a volunteer management solution. Charity Republic is a volunteer management software, built with the help of over 60 charities, non-profits, and volunteer coordinators. Commit Change is a nonprofit CRM software solution that helps nonprofits accept donations, host ticketed events, run crowdfunding campaigns, and manage data, all in one place. CommunityHERO is a new community management platform that coordinates your organization's people and projects. Our goal is to make your administrative tasks easier. With CommunityHERO, your organization can achieve this by doing less work and, most importantly, impacting your community like never before. Why Use Volunteer Management Software? Who Uses Volunteer Management Software? Volunteer management software drives the volunteer operations portion of nonprofits’ activities. Nonprofit organizations rely on volunteer efforts to operate successfully. Spreadsheets and paper documents are products of a bygone era, so volunteer management solutions have stepped into the void to improve the efficiency and effectiveness with which volunteers are managed. Volunteer management software carries out organization-to-volunteer communication, manages volunteer-staffed events, improves visibility into volunteer activities and effectiveness, and ultimately increases the return on investment that the nonprofit organization gets from its volunteers. Volunteer management software is vital to soliciting volunteers and managing the efforts of those volunteers without disrupting your organization. Volunteer Engagement — A well-organized volunteer program can drive higher volunteer engagement with the organization, bringing new volunteers on board, and maintain strong relationships with existing volunteers. Increase Volunteership — Ensuring that there is a significant pipeline of qualified volunteer talent is key to running a strong volunteer program. The communication tools provided by volunteer management software can make sure that’s the case. Improve Organization — Organizing schedules, tracking hours, promoting volunteer opportunities, and communicating with volunteers both before and after their participation are all important aspects of volunteer management. Volunteer management solutions handle these tasks and more, providing users with a centralized dashboard through which they can run their program. Nonprofit organizations are the primary users of volunteer management software. They often rely on volunteers to carry out tasks vital to the organization and rely on volunteer management software as a centralized hub for all activity related to volunteer operations. Employees tasked with organizing volunteer efforts as well as volunteers themselves are the two largest user bases within the nonprofit sphere. Volunteers use the application to keep up to date on volunteering opportunities, sign up for those opportunities, check on schedules, and more. Mobility — Mobile access to volunteer management software features. Mobile versions of the application typically include a portal from which employees and volunteers can access the majority of feature applications. Time Tracking — Much like regular time tracking software, this feature allows organizations to track volunteer hours. Reporting — This feature may include the creation of customizable reports, which can drive impact assessment activities and shape volunteer management strategy. Digital Marketing — Marketing opportunities to volunteers or potential volunteers is key to getting more people involved. This feature may include email marketing functionality and acts as another boon to the organization’s marketing efforts. Opportunity Posting — This is like a job board, where volunteer opportunities are posted. Volunteers can look at these and choose the most applicable ones. Volunteer Profiles — This is the central hub from where a volunteer can control all of their activities. Company employees can look at these profiles to track high-performing and frequently active volunteers. Recruitment Tools — These tools can include email campaigns and specific recruitment landing pages designed to bring new volunteers onboard. Training Management — Training is a vital part of volunteer management, and this piece of functionality allows people to manage the entirety of the training process. Access Management — This feature controls individual user permissions and access levels to the application. As the nonprofit world develops, so too does the volunteer management world. There are a couple of nonprofit trends that directly impact how organizations are using volunteer management solutions. Retention Over Acquisition — Acquiring new volunteers is difficult and more involved than retaining ones you currently have a relationship with. New volunteers require training and onboarding efforts to become valuable team members. Volunteer management software allows organizations to focus on strengthening existing volunteer relationships and driving increased involvement. Mobility — Mobile phone usage has skyrocketed over the past few years. To capitalize on this trend, volunteer management solutions are offering mobile access to both organizers and volunteers. This is especially important when it comes to organizing in-the-field efforts such as events. Volunteer management software integrates directly with many different types of nonprofit software to provide users with the ability to build a comprehensive set of solutions to run their organization. Nonprofit CRM Software — Many volunteer management solutions integrate directly with nonprofit CRM solutions to help maintain comprehensive contact data across all of a nonprofit’s technology stack. Event Management Software — Volunteer management software also integrates with event management software. This is especially important for nonprofits that run large-scale fundraising events. These events need to be staffed with competent volunteers, and volunteer management software helps organizations accomplish this. Hi there! Can I help you find the best Volunteer Management solutions?